Till a couple of years back, few elderly Parsis in Lucknow nursed the desire of breathing their last in Mumbai, thanks to the ‘Tower of Silence’, the last abode where bodies are left for the vultures to eat. The scavengers take not more than 30 minutes to strip the flesh off the bones, and reinforce the Parsi belief in ‘charity’. However, as vulture population reaches the verge of extinction, the death wish of breathing their last in Mumbai among the Parsis, too, is fading out. And, with that, the number of Parsis in the state capital as well, it seems. From 100 individuals around two decades back, they are now only 45 in Lucknow. Not more than 25 Parsi families remain in the city, concentrated in one single compound of ParsiAnjuman in the heart of the city. 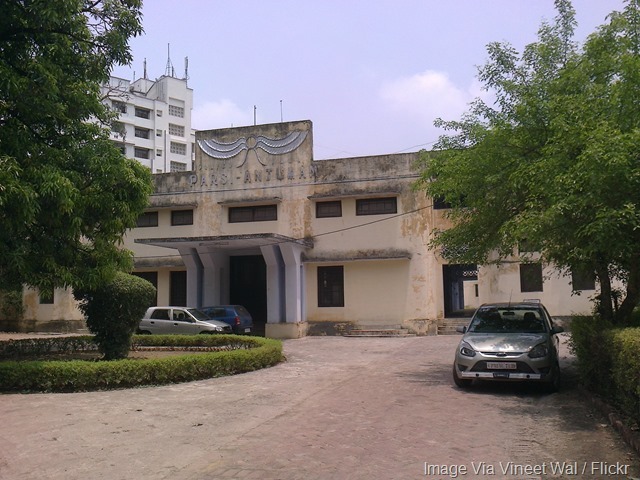 The Parsi Anjuman in Lucknow is a repository of Parsi history in the city. The place has plaques dating back to 1948. But, the place is not as vibrant as it used to be years back. Mumbai has maximum Parsis and, if not all, most of them in Lucknow have their roots in Mumbai. More than the desire to go back to their roots, what drew Parsis to Mumbai was the ‘tower of silence’. But, the present times have made the fulfilment of death wish difficult. Parsis in Lucknow, therefore, go for burial. The towers of silence are there in several cities with Parsi population. "The one in Mumbai is located in the centre of the city with high-rises all around it. And since there are very few vultures, flocks don’t descend to the well in the tower like before," said Niloufer Sadri. This leaves bodies decaying for days. It’s not the end anyone would want their near and dear ones to meet, and that’s what is making Parsis change their age-old funeral rites. "In Lucknow, we never followed the practice, the state has no such place," she said. Originally from Gujarat, Niloufer married Viraf Sadri, who hailed from a resident Parsi family in Lucknow. Explaining the shift from the age-old funeral rites is her husband, Viraf Sadri. "It’s a personal choice and a person can decide what he wants. One can go for burial and even cremation," he said. There are Parsis who also donate their bodies for medical purposes, as the act is tantamount to charity. "But then this is what others also do, so we can’t say Parsis alone do it," he added. Parsis are originally from Iran, and that being a mountainous country, did not allow people to dig and bury a body. It was best believed that body be left at the top of the hill and be decomposed naturally. It was also propelled by a belief that body be given for use by others, leading to charity. "In the current times, this is not possible," said Viraf Sadri. Now, it’s a solar panel which is used at the tower of silence to decay the body. The families also take bodies to electric crematoriums. Sadris are out of the 45-odd Parsi individuals in Lucknow. Not more than 25 Parsi families remain in the city, concentrated in one single compound of Parsi Anjuman in the heart of the city. Some of the families, may be four or five, live outside the compound, in nearby localities. They are the native Parsi families of Lucknow, whose generations have lived and survived in the city. Together, they constitute a numerically negligible population, but that does not take even a bit away from the warmth that Parsis are known to exuberate. "That’s the reason why we have survived. We are a welcoming community. We socialize with non-Parsis and they are part of most of our celebrations," said Mehroo Patel. Apart from their own customs and traditions, they also follow what they get to see and be part of in the city. Diwali, holi and other festivals are common occasions for celebration. Lucknow and Kanpur are the only cities that have most of the Parsis living there. The other cities have not more than eight or ten individuals living. There are several reasons as to why the Parsi population has gone down drastically. The descendants of Aryans mostly marry within the community, since the population is small; marriage between blood relatives is a common occurrence. And that has its own shortcomings. "Most of the couples are issueless," said Niloufer Sadri. The late marriages are common because it’s difficult to find a Parsi match, and this makes producing a child difficult. Girls who marry outside community aren’t considered Parsi anymore. Marrying outside the community is not a taboo for sons though.